Diva Devotee: [Music Video] Pink And Disney Team-Up For Release, "Just Like Fire"
[Music Video] Pink And Disney Team-Up For Release, "Just Like Fire"
Super-duper successful touring artist, Pink has returned to the main stage. 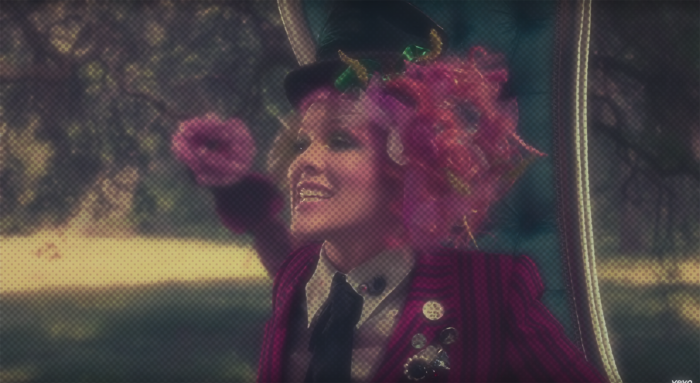 Having last been heard on the low-key Rose Ave back in 2014, the Diva has flipped and reversed, returning with a track for the (sure to be) blockbuster that is Disney's Alice Through the Looking Glass. Can't get any more mainstream than that! As you'd expect from working with Disney, Just Like Fire sounds like it's been neutered. The essence of Pink is there, but lacking is the edge and character the Diva usually throws at us. The video tries to make up for this, being comedic and quirky. But it's like adding salt to my eyes instead of my soup. Right thing, wrong place! Neutered or not, it's good to have one of our feistier Divas back on the scene.